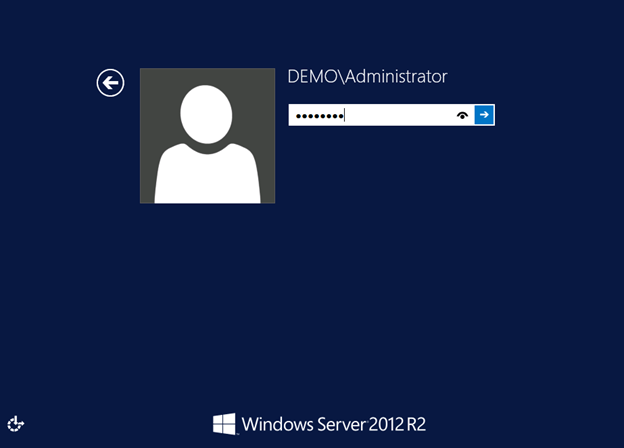 In this lab I will guide you through the basic process of preparing a Window Server 2012 R2 computer to be a Domain Controller. This article assumes that you have successfully install the OS. 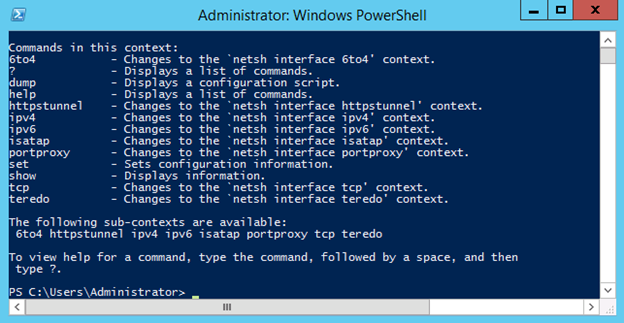 Netsh interface ip set address “Ethernet” static 10.0.0.49 255.255.255.0 10.0.0.1 (set the interface with static IP address of 10.0.0.49, subnet mask of 255.255.255.0 and default gateway of 10.0.0.1). 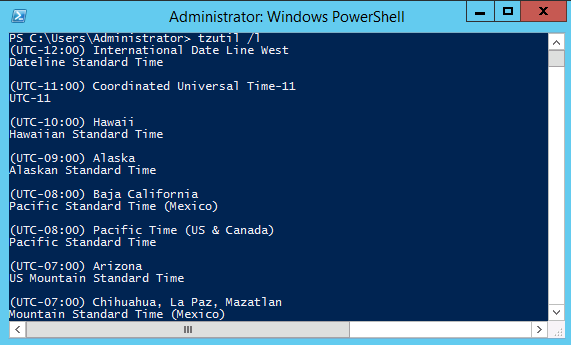 Note that the output says that DNS server is incorrect. That’s OK because at this point, our server is not itself a DNS server. We will configure this box to be a DNS server later. When installation is completed, the computer will be restarted automatically. When the computer comes back up, log in as DEMO\Administrator. 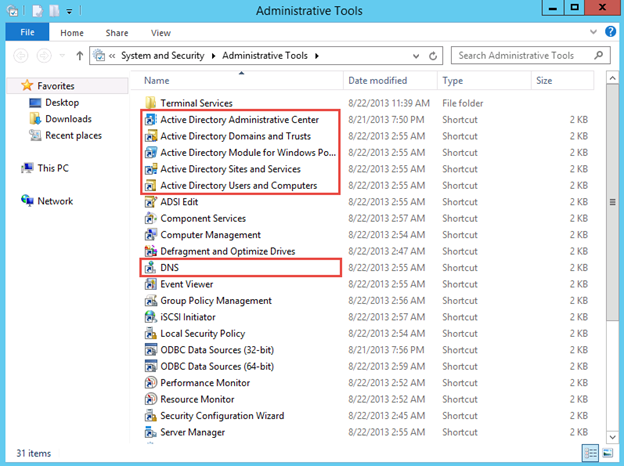 Click Start, Administrative Tools to verify that you have all the Active Directory shortcuts as well as the DNS shortcut. This means your DC is ready. 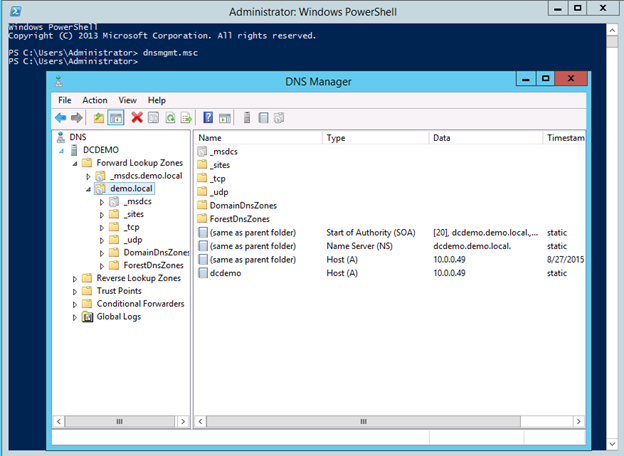 Also, launch dnsmgmt.msc to verify that all DNS zones/records are properly configured. 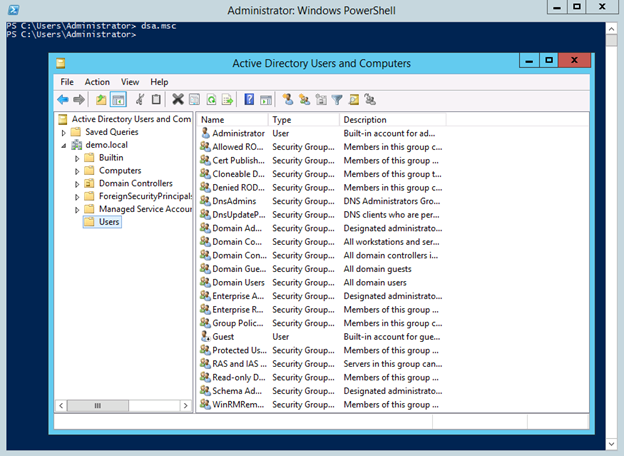 Additionally, launch dsa.msc to verify Active Directory Users and Computers are configured properly. 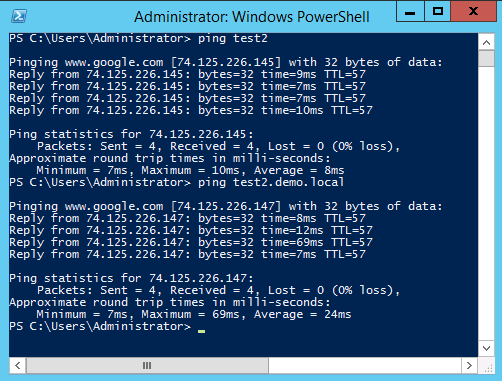 Now if we ping test2.demo.local, it actually ping www.google.com because test2 is an alias of www.google.com.